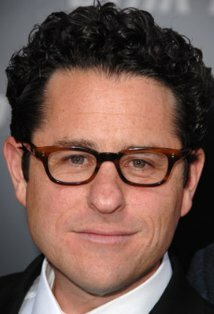 There’s no chance of getting any serious writing done, so today I thought I’d take on something easy, and respond to the news that J.J. Abrams has been designated to direct Star Wars Episode VII. Okay, after almost three hours of vomiting, Elizabeth appears to be resting. Not that anyone needed to know that. As I was saying, not a huge fan of J.J. Abrams as a director. I think I saw Mission Impossible III, but I can’t remember with certainty. Since I’m not sure if I saw it, I should reserve comment, although if I did actually see it, the fact it was that forgettable would be a verdict in itself. On surer footing, I did see the Star Trek reboot from 2009. As any tbf of the blog knows, I’ve always been more Star Wars nut than Trekkie (it’s got its own category on thunderstrokes, fer cryin’ out loud). But I’ve always respected Star Trek for its intelligence and integrity. 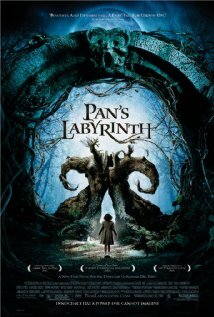 Consequently, the most recent film presented a big setback for me. 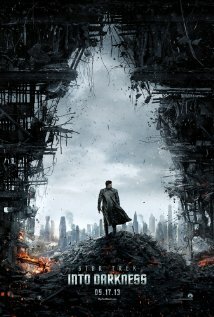 While the film looked great, and the movie as a whole wasn’t bad, there was something inherently intolerable about eradicating the past (no, I guess it was the future) lives of Kirk, Spock and company in order to justify wiping the slate clean and taking the characters in a new direction at a younger age. In my opinion, that’s just cheating. Right, so where was I? Oh yeah, I do remember wanting to throw a penalty flag when they resorted to a deus ex machina (minus the deus) to save the story and justify the reboot. And the real problem is, at the same time it obliterated everything that happened previously (subsequently), it undermined the ability to believe in the new story as well. If forty years of Star Trek can be invalidated with one quick twist of plot, what’s to prevent them from doing it the next time they find themselves in a jam? Why should I care what happens to them now? They can just reset it again, and start over anytime they want. It’s the sort of thing that, even if something like that existed in real life, it still wouldn’t be okay to use in a movie. Whew! Elizabeth’s sleeping and Maria’s playing peacefully in the back room. I think that was about fifteen minutes there, and my internal timer was going crazy. So that leaves Super 8, a movie I really wanted to love. It was a movie about the kind of stuff I was doing as an adolescent, shooting three-minute movies with my Bell & Howell Super 8 movie camera, and dreaming something spectacular would happen to me, something epic. This is a movie that should have spoken directly to me, but I left largely disappointed. The film barely worked as an homage to Steven Spielberg, and even less as a film trying to stand on its own two feet. The magic of Spielberg, especially in his early classics, before he turned his vision backwards in time, is that he asks you to take one big leap of faith in his films. Just one, whether it’s a giant shark terrorizing Amity Island, aliens seeking to make their presence known to the people of this planet, an archaeologist with the sheer tenacity to overcome all obstacles, or an extraterrestrial left behind while collecting plant specimens. Once you buy into that one unbelievable thing, everything that follows feel natural, logical, almost unavoidable, sometimes uncannily so. The laws of reality, aside from being suspended to allow for that one supernatural twist, are still in effect. If you’re paying homage to Spielberg, that ought to be your starting point, but Super 8 was full of unbelievable nonsense. Time for Maria’s lunch. (excuse me again) Checking on boiling water. But, while I complain I also realize that Disney could have done a lot worse. One last thing. I guess I had never seen Mr. Abrams before. 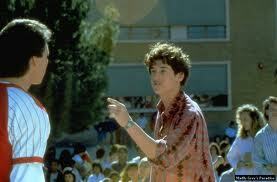 Patrick Dempsey, circa 1987’s genuinely sweet and underrated film Can’t Buy Me Love. Looks like the Ronald Miller Express lives!! !